Price your shingles online, and request a detailed roofing quote. We ship your shingles direct to your job site within the contiguous United States. 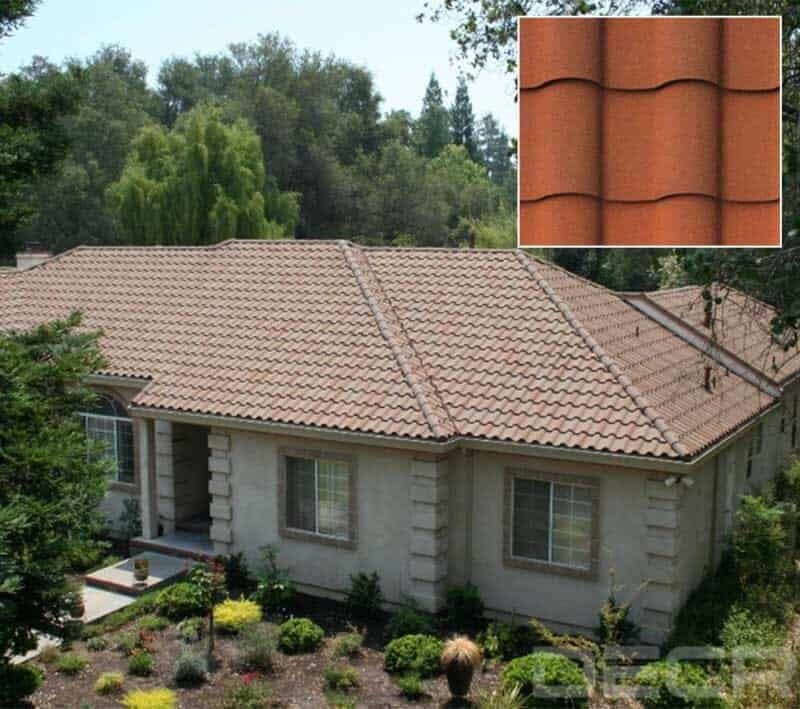 These classic steel shingles combine the warmth and appeal of cedar shingles with the strength and durability of galvanized steel. 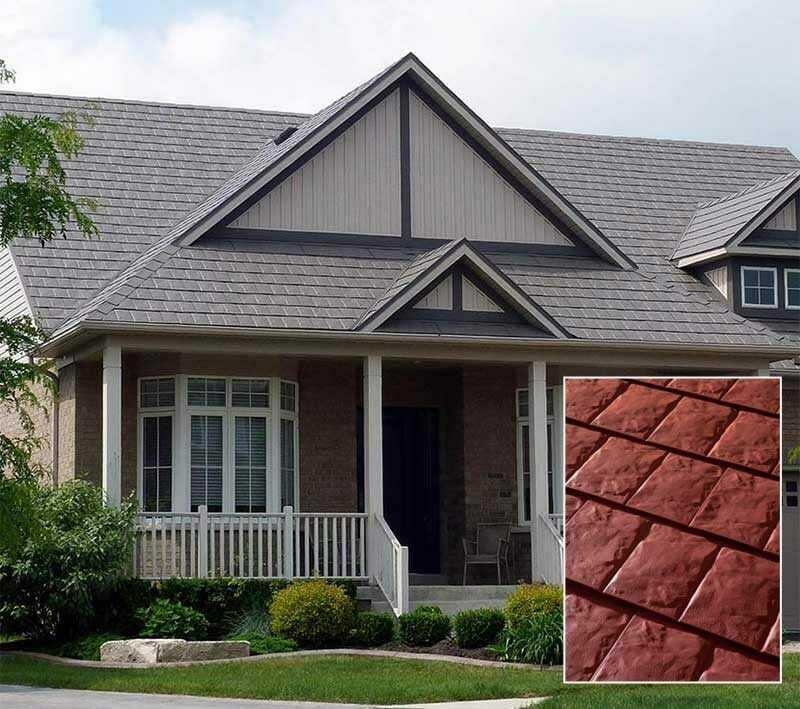 AstonWood is a metal shingle which replicates the rich deep hand-hewn texture of wood while providing fire resistance and durability from the elements. 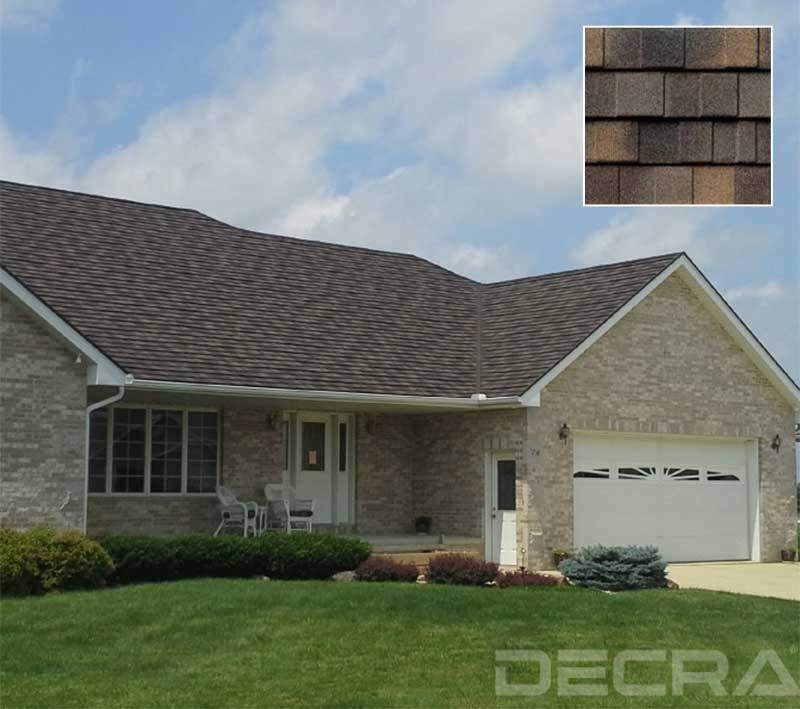 With its architectural look, this profile adds wonderful appeal to traditionally styled homes and is ideal to those who prefer the look of heavy-cut wood shingles. Transferable 50 year limited product warranty. Class 4 Hail Impact Resistance to UL 2218. 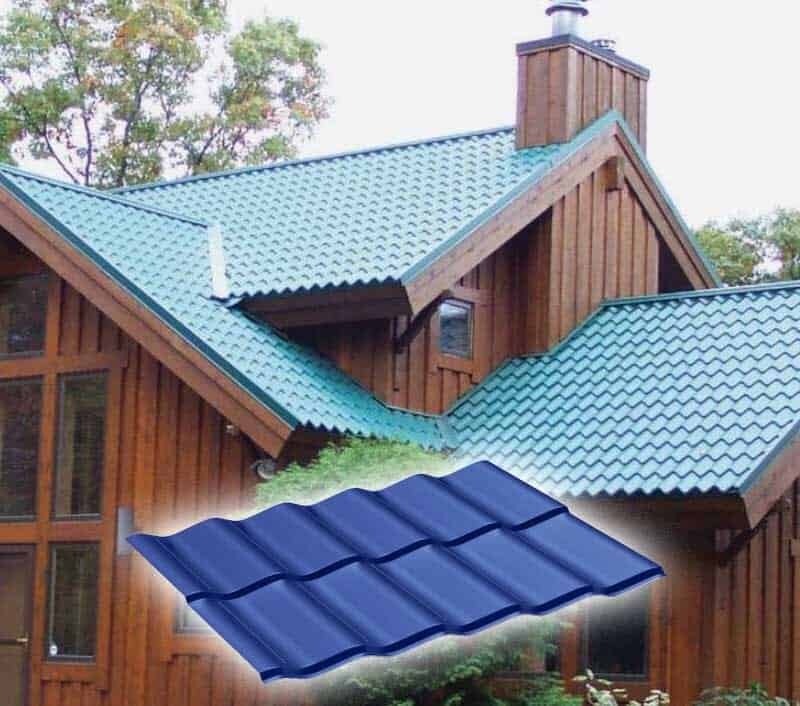 Lightweight – only 150 lbs per square (100 sq.ft.) installed. Non-combustible Class A rated material. Won’t crack, break, burn, curl, split or rot. Walkable, low maintenance. Long life, non-porous, freeze/thaw resistant. Offering distinctive look of smooth, uniform tile. 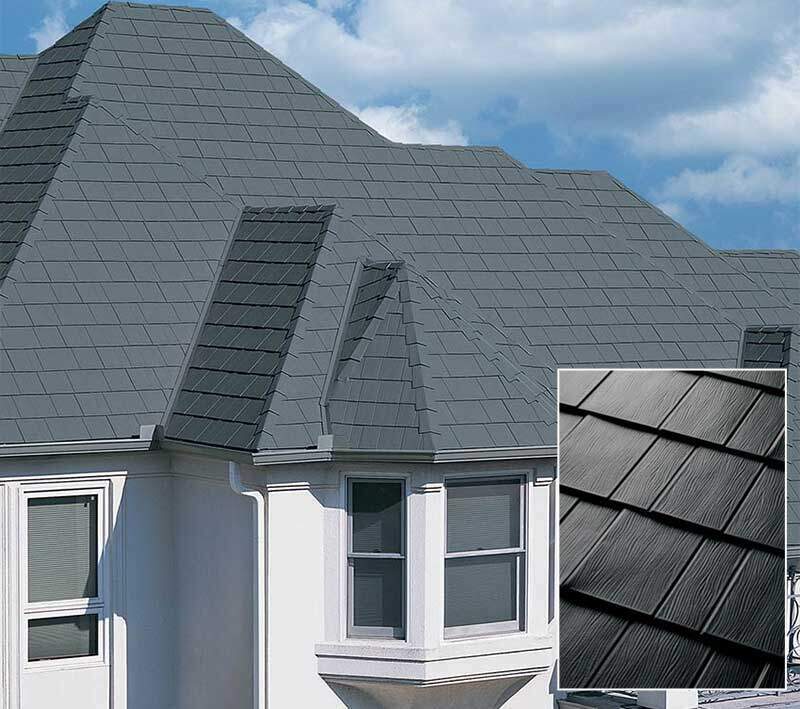 For those who appreciate a classic refined appearance, these shingles provide outstanding performance and value. 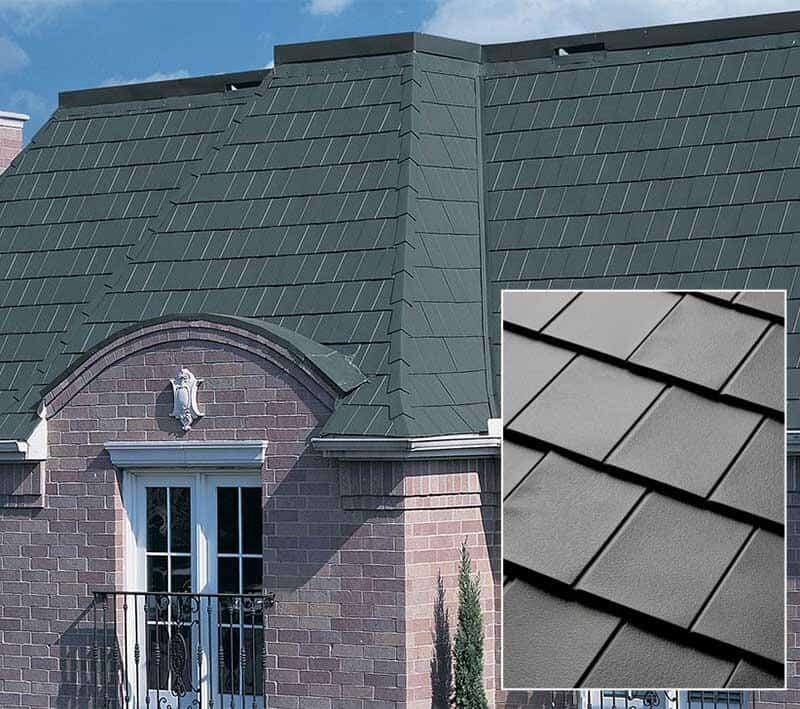 These shingles are made of heavier gauge steel and have been double stamped for a more dramatic look. StoneCrest Slate offers a distinctive look that closely replicates the random finish of natural slate. Available in a beautiful array of colors. Available in five colors! Standard Mediterranean style tile also available. 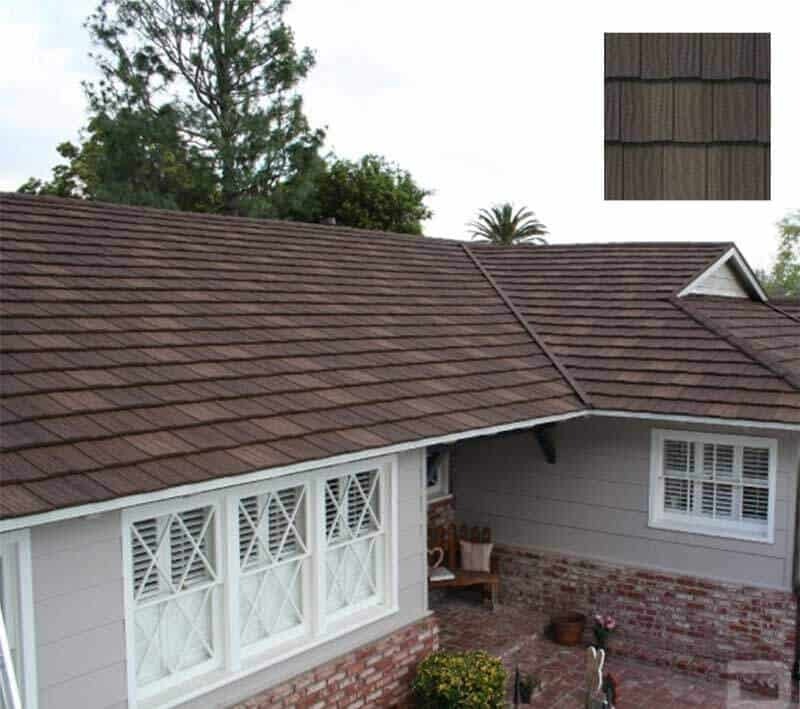 Met-Tile is one of our most popular shingle / tile type of roofing options. The Met-Tile is available in panels from 2′ up to 20′ long and 38 5/16″ wide. These 26 gauge panels carry a 40 year warranty on the panel integrity, and 30 year warranty on the color against fading or chalking. Available in ten color choices!